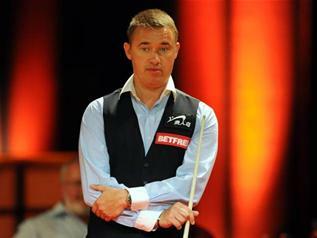 Stephen Hendry made it through to the Haikou World Open with a win over Mike Dunn in qualifying in Sheffield. Hendry beat Dunn 5-2 to earn a spot in the tournament, which will take place from February 27 to March 4 in Hainan, China. Marco Fu also made it into the draw with a 5-2 win over Matthew Selt, but Ryan Day lost out on a spot as he was whitewashed 5-0 by Rob Milkins. World number 82 Sam Baird sprang the biggest shock of the day, coming through a thriller against world number 17 to win 5-4 and make the main draw of the tournament. Barry Hawkins also came through a close match, beating Ian McCulloch 5-4.